There was a time when small businesses would find themselves in a bind. They needed funds to grow and in order to get a loan from traditional banks they would need cash or collateral to get the money for their expansion. This would stunt their growth. Thanks to online lenders this is a problem of the past. Funding nearly $10 billion to approximately 180,000 small businesses, one-quarter of which were considered microbusinesses with annual sales of less than $100,000. Generating $23.0 billion in sales for the business borrowers. The additional sales of these small businesses in turn generated $37.7 billion in gross output and created 358,911 jobs with $12.6 billion wages in the local economies of the small business borrowers. For every one dollar in lending to small businesses, sales of small business borrowers increased between $1.05 and $2.84 (with an average of $2.31). 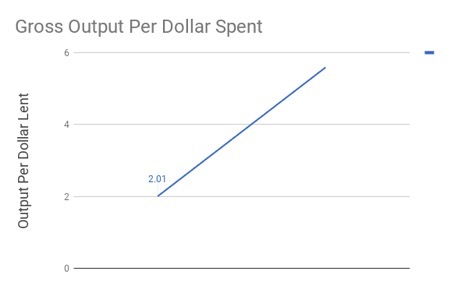 That one dollar in lending created between $2.01 and $5.59 (with an average of $3.79) in gross output in the local communities of the small business borrowers. Small businesses make up the backbone of the U.S. economy accounting for more than 99% of all U.S. firms and employ over half of all workers. They are also the main sources of new job creation for Americans. Their existence and survival relies heavily on the availability of funds and those that have less than $1 million in annual revenue find that the credit gap is one of their top challenges. Small businesses need funds the most when they are hardest to get, when the economy tanks. In addition, getting a loan from a traditional bank can become a cumbersome and lengthy process. Borrowers may spend up to 26 hours searching and applying for loans and then have to wait for a decision and disbursement. Online lending, like Knight Capital Funding, has become a popular financing source for small businesses across industries. Traditional financial institutions and online small business lenders are partnering to offer smaller loan amounts and shorter-term loans to business owners. While some borrowers can obtain funding from traditional banks, many online lending customers do not have access to such traditional loans because of low personal credit scores and/or a lack of collateral assets. Although the associated costs of borrowing can be higher with online lenders, small business borrowers may be willing to pay a higher price in exchange for an easy application process, a quick decision, and rapid availability of funds, or because they have no alternative sources of borrowing. They use electronic data sources and technology-enabled underwriting models to automate processes and credit risk assessment. While there are still many online lenders that take the business owner’s personal credit score (FICO®) into consideration, not all of them do. This is good to know considering that roughly 18% of principal business owners have FICO scores of less than 600. Knight Capital Funding uses their own proprietary credit scoring system that is based on the businesses financial health, not the individual. In conclusion, the impact that online lending has on local economies extends way beyond small businesses maintaining or expanding operations. 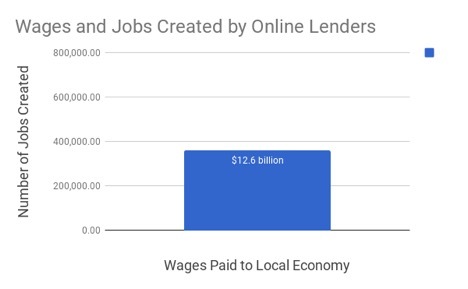 In order to truly understand the effects of these activities we need to look at the wages and jobs created by online lenders as well as the gross output in these communities. 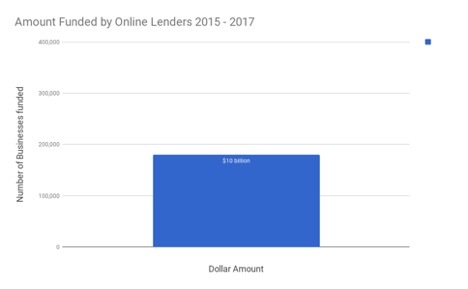 With so many benefiting from lending companies that are filling the financial gap for small businesses, it’s no wonder these lenders are growing faster and faster every day.